Disassembling the printers on Microcontroller Monday 20081208.
current 21:33, 8 December 2008 1,280 × 960 (332 KB) Hudson (talk | contribs) Flipped the image upright. 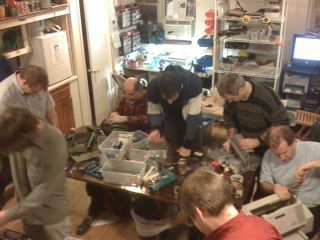 21:32, 8 December 2008 1,600 × 1,200 (451 KB) Hudson (talk | contribs) Disassembling the printers on Microcontroller Monday 20081208. This page was last modified on 8 December 2008, at 21:33.